Customer health and safety is a critical aspect of the group’s products, services and customer solutions. In representing leading international brands, our customer solutions are backed by warranties, guarantees and product responsibility, and design features that target optimum user safety and productivity. All new vehicles, plant and equipment have comprehensive service and maintenance regimes which are time or use based. These include the inspection, and renewal if necessary, of critical safety items. Rental plant and equipment is subject to similar assessment and service disciplines. Car rental fleets have vehicles less than 12 months old with the most recent technology and safety features per category. In many instances vehicles, plant and equipment have self-diagnostic technology and capability which run throughout their life. In some cases this is coupled to telemetry devices that transmit ‘real-time’ diagnostic information. It is also common practice that vehicles, plant and equipment are sold with maintenance programmes that ensure regular inspection and service. Tyres, brakes and other identified safety aspects are subject to entrenched assessment systems, OEMs’ service requirements, service-plan schedules, and self-diagnostic capabilities in vehicles, plant and equipment. General health and safety aspects are continually included in the design and manufacture of vehicles, plant and equipment as are features that ensure operator or driver comfort. 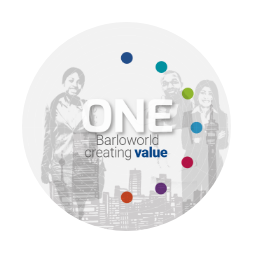 Barloworld is responsible for its products and customer solutions. It also has a duty to faithfully represent principals and serve its customers responsibly and support internal and national environmental, empowerment and community objectives. This is included in our Worldwide Code of Conduct under our value of Sustainability: ‘We protect the health and safety of others and ourselves. We are committed to providing our customers with products and services that are safe and reliable’. Customer health and safety is a critical aspect of all products, services and customer solutions. In representing leading international brands, our customer solutions are backed by warranties, guarantees and product responsibility, and design features. All new vehicles, plant and equipment have comprehensive service and maintenance regimes which are time or use-based. These include the inspection, and renewal if necessary, of critical safety items. In many instances vehicles, plant and equipment have self-diagnostic technology and capabilities which run throughout their life. In some cases this is coupled to telemetry devices that transmit ‘real-time’ diagnostic information so that the performance of equipment can be monitored accordingly. Rental plant and equipment are subject to similar assessments and service disciplines and devices. Car rental fleets generally use vehicles under 12 months old with the latest technology and safety features per category. Tyres, brakes, load testing and other identified safety aspects are subject to entrenched assessment systems, Original Equipment Manufacturers’ (OEMs) service requirements, service-plan schedules, and self-diagnostic capabilities in vehicles, plant and equipment. General health and safety aspects are included in the design and manufacture of vehicles, plant and equipment as are features to ensure operator or driver comfort. An example of our principals’ commitment to safety is Caterpillar’s safety website SAFETY.CAT.COMTM, one of the most comprehensive safety sites for the industries Caterpillar serves. The website builds on Caterpillar’s commitment to providing its customers with the safest and most reliable products available, and reinforces safety messages found in the company’s Operation and Maintenance Manuals. Most Caterpillar equipment within our South African Equipment operations are equipped with optional data tracking and communication devices (Product Link) which are now supported by the Barloworld Condition Monitoring Bureau allowing for real-time monitoring of vehicle status, service and maintenance requirements. Operator and driver training is provided where required and/or requested and can include both practical, classroom and simulator training in regions where such facilities exist. Appropriate handover procedures for all products ensure customer knowledge, including health and safety operating procedures and service requirements. OEM recommended inspection and safety checks, maintenance and safety system upgrades and training programmes are explained and promoted to ensure customer health and safety. The group is committed to protecting the health and safety of other and ourselves, and complying with relevant legislation.